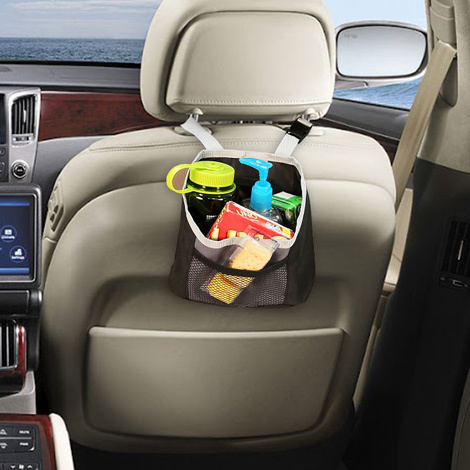 Don't be fooled by this organizer's tiny size: it has more than enough room to hold your maps, snacks, bottled water, and much more. The mesh material keeps all items visible and easy to find, and the compartment dividers are adjustable for custom sizes so you can fit anything you need. 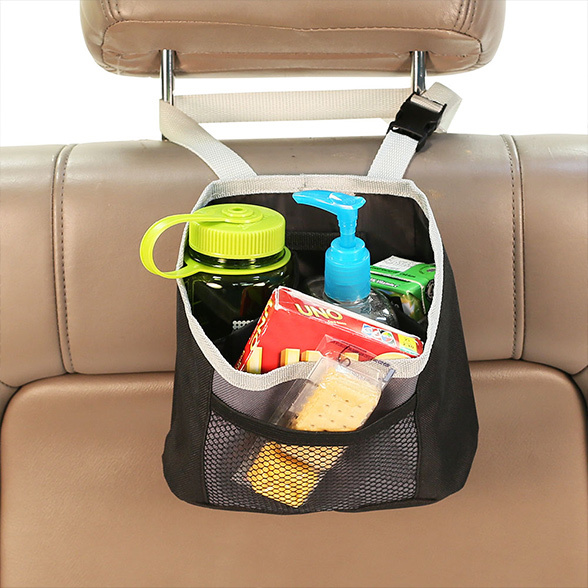 Its compact size makes it a great fit for any car, and it can easily be hung from the headrests or even the dashboard vent. Dimensions: 7" x 6.5" x 0.5"